Tulpa (Tibetan: སྤྲུལ་པ | Wylie: sprul-pa) is a term that originates in Tibetan and Indian Buddhism. In ancient teachings it was used as a practice to show that the world around us exists as an illusion, and that the student could not trust what their senses perceived. The modern interpretation is that of a consciousness that exists parallel to your own inside your mind. One early Buddhist text, the Samaññaphala Sutta lists the ability to create a “mind-made body” (manomāyakāya) as one of the "fruits of the contemplative life". :117 The Tibetan use of the tulpa concept was to have students practice the formation of a mind-made body which would manifest a genuine deity. While the students were told that the tulpa they created was a deity, they were expected to come to the conclusion that "even the most powerful deities were no more than creations of the humanmind". The pupil who accepted the tulpa instead "was deemed a failure – and set off to spend the rest of his life in an uncomfortable hallucination." From 1911-1925 Belgian-French explorer, spiritualist, and Buddhist Alexandra David-Néel observed these practices. She reported tulpas are "magic formations generated by a powerful concentration of thought." David-Néel wrote that "an accomplished Bodhisattva is capable of effecting ten kinds of magic creations. The power of producing magic formations, tulkus or less lasting and materialized tulpas, does not, however, belong exclusively to such mystic exalted beings. Any human, divine or demoniac being may be possessed of it. The only difference comes from the degree of power, and this depends on the strength of the concentration and the quality of the mind itself." The Western occult understanding of the concept of "thoughtform" is believed by some to have originated as an interpretation of the Tibetan concept of "tulpa". The concept is related to the Western philosophy and practice of magic (or magick). Occultist William Walker Atkinson in his book The Human Aura described thought-forms as simple ethereal objects emanating from the auras surrounding people, generating from their thoughts and feelings. He further elaborated in Clairvoyance and Occult Powers how experienced practitioners of the occult can produce thoughtforms from their auras that serve as astral projections which may or may not look like the person who is projecting them, or as illusions that can only be seen by those with "awakened astral senses". The theosophist Annie Besant, in her book Thought-forms, divides them into three classes: forms in the shape of the person who creates them, forms that resemble objects or people and may become "ensouled" by "nature spirits" or by the dead, and forms that represent "inherent qualities" from the astral or mental planes, such as emotions. 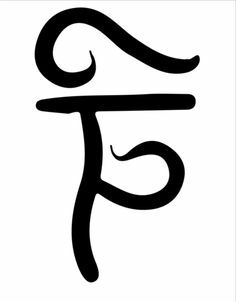 Supernatural's "Tibetan Tulpa Spirit Sigil"
The first introduction of tulpa into western culture was through the journals of Alexandra David-Néel. Tulpa were discussed mainly in occult and paranormal related circles during this time although there were some references to tulpa in philosophical discussions of reality. The idea of tulpa began to slowly enter pop culture through the form of horror and monster stories most notably being a 1989 issue of DC Comics Detective Comics #601-603 in which Batman tracks down a "young man of Tibetan heritage [who] is using magic to create creatures to steal from the rich". Tulpa were the topic in various forms during this time period ranging from horror novels to creepypasta. The concept of tulpa most heavily entered recent pop culture through the show Supernatural. In Supernatural Season 1 Episode 17 "Hell House" (Aired March 30th, 2006) the two protagonists face off against a spirit that they believe to be a tulpa in an abandoned house. In the show they reference a "Tibetan spirit sigil" which some say is a Tibetan symbol for creation. There is debate over the true source of the symbol but regardless is has become widely synonymous with the term Tulpa. Starting around late 2011 to early 2012 threads began to be posted on 4chan.org/x/ discussing the creation of tulpa. The discussion moved around to different discussion boards before becoming popularized by the My Little Pony community. Around this time tulpa.info was formed moving some of the 4chan discussions onto their own forum instead while attempting a more scientific approach. Tulpa.info was created to provide information about tulpas, to guide tulpa creation, and to host a community for discussion and research of the phenomenon. A tulpa is an entity created in the mind, acting independently of, and parallel to your own consciousness. They are able to think, and have their own free will, emotions, and memories. In short, a tulpa is like a sentient person living in your head, separate from you. It’s currently unproven whether or not tulpas are truly sentient, but in this community, we treat them as such. It takes time for a tulpa to develop a convincing and complex personality; as they grow older, your attention and their life experiences will shape them into a person with their own hopes, dreams and beliefs. A tulpa is created in the mind by focusing on an imagined illusionary person and giving them repeated attention while imagining them to be sentient like a normal person. After enough focus and concentration the tulpa will start to act more independent and eventually reach the point where they show both signs of sentience and sapience. The exact reason that this phenomenon exists is unknown and highly debated. A well developed tulpa usually has a unique distinct personality from their creator and has their own dreams, goals, interests, tastes, opinions, and so on. Each tulpa exists as an individual and no two tulpa are alike. ↑ Fiordallis, David (20 September 2008). "Miracles and Superhuman Powers in South Asian Buddhist Literature" (PDF). University of Michigan. Archived (PDF) from the original on 23 April 2017. Retrieved 22 April 2017. ↑ 2.0 2.1 Ashcroft-Nowicki, Dolores (2001-12-01). Magical Use Of Thought Forms: A Proven System of Mental & Spiritual Empowerment. Llewellyn Publications. ISBN 9781567180848. ↑ Campbell, Eileen (1994). Body, mind & spirit: a dictionary of New Age ideas, people, places, and terms (Rev. and expanded ed.). Boston: C.E. Tuttle Co. ISBN 080483010X. ↑ 4.0 4.1 David-Néel, Alexandra (February 2000). Magic and Mystery in Tibet. Book Tree. ISBN 9781585090976. ↑ Besant, Annie (1901). Thought-Forms. LONDON: THE THEOSOPHICAL PUBLISHING HOUSE LTD.
↑ Grant, Alan (June 1989). "Detective Comics Vol 601". DC Wikia. Retrieved 12 May 2018. ↑ "Supernatural Season 1 Episode 17 "Hell House"". Supernatural Wiki. 30 March 2006. Retrieved 12 May 2018. ↑ "What is a Tulpa?". Tulpa.info. 2011. Retrieved 12 May 2018.